New Era School NCC Cadets participated in CATC-1, NCC camp at GNLA, Jitnagar, Rajpipla, from 14th to 23rd june 2017. 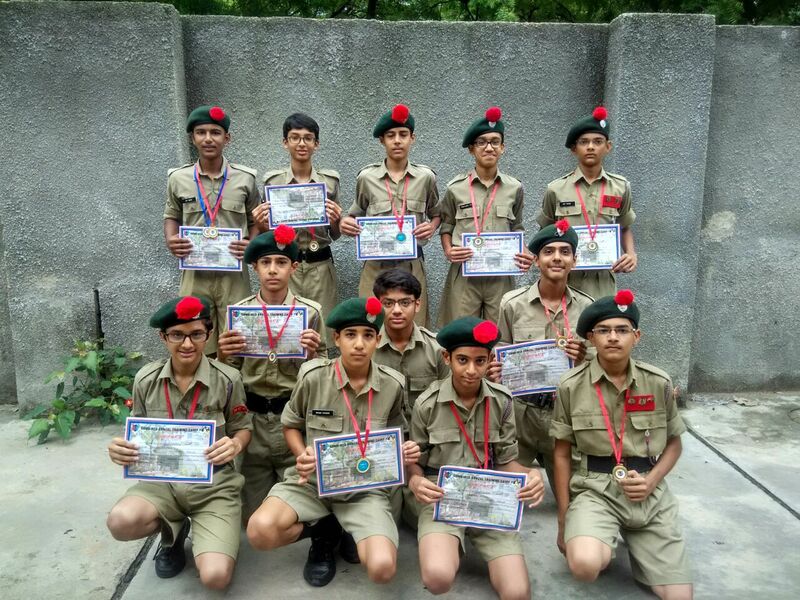 During the camp our Cadets participated in various competitions. New Era School platoon got the first position in Drill competition. Platoon was lead by Cdt. Jay Shah & Members of platoon were Het Patel, Harsh Pandya, Harsh Patel, Harshang Trivedi, Yagnam Shah, Nihar parikh, param phathak, Jay Patel, Jay Padalia, Chaitanya Patil & Darshil Patel , all from class 9th. Congratulations to all winners and proud Neweraites.